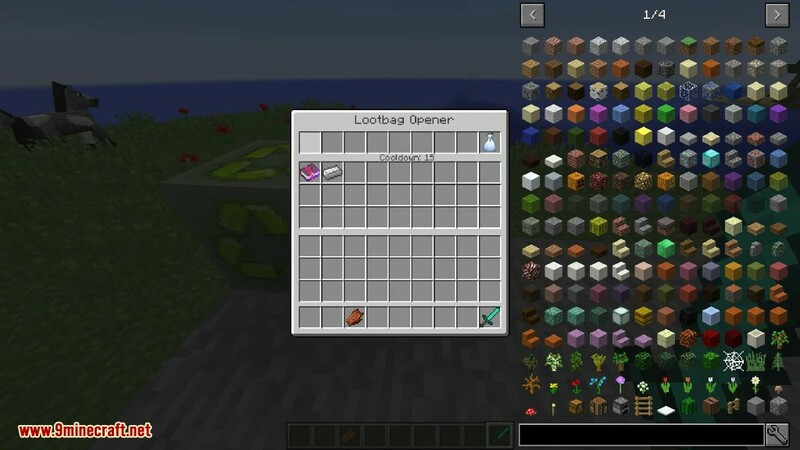 LootBags Mod 1.12.2/1.11.2 is a mod which adds bags that drop other items. It is heavily configurable through its two config files. 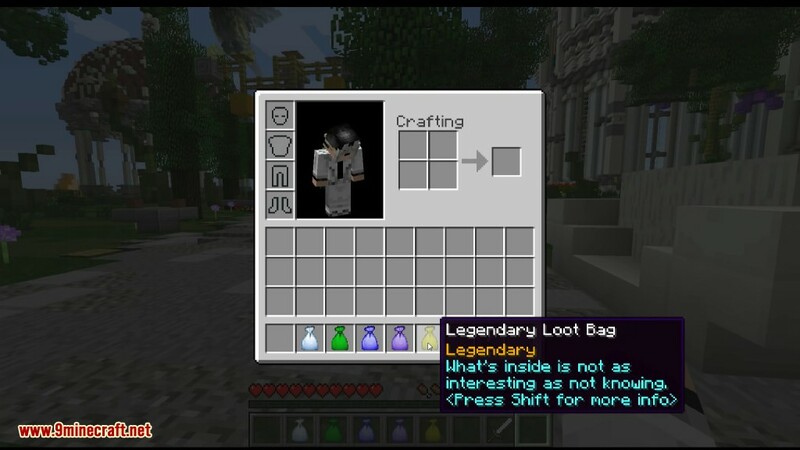 By default, the mod is configured for a total of 14 bags, 6 typical bags, and 8 “secret” bags which only spawn in certain conditions. 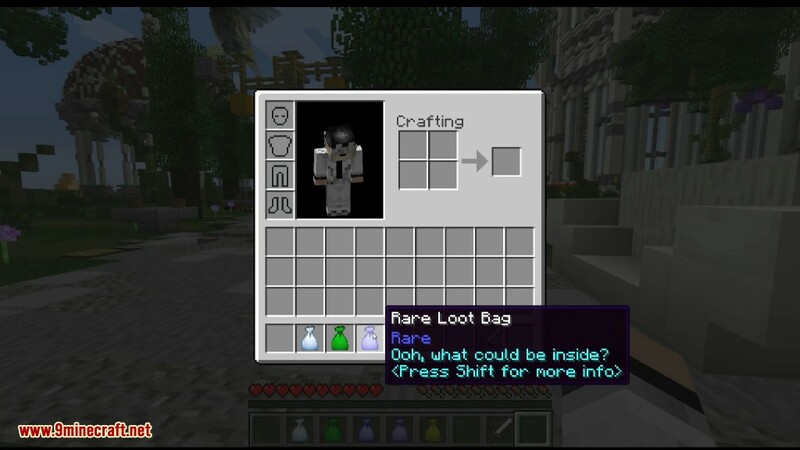 The typical bags drop portions of the vanilla world gen loot tables, with rarer bags relating to more consistent rare loot. 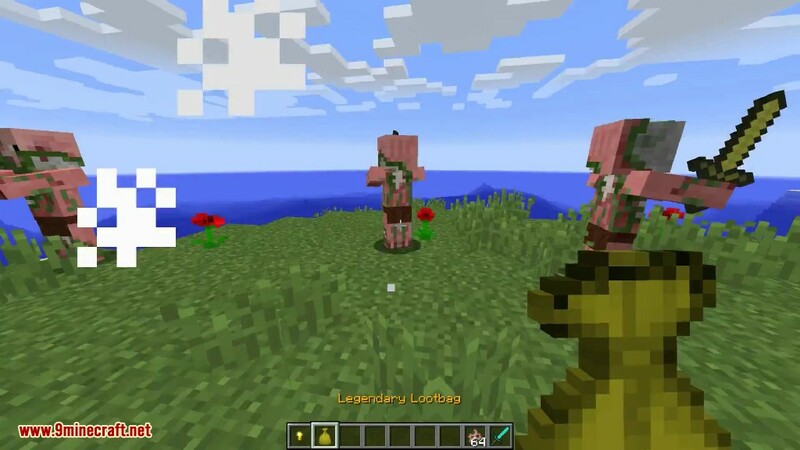 This mod adds an item that contains random loot from any of the vanilla dungeon loot lists (dungeons, strongholds, mineshafts, temples, and blacksmiths). 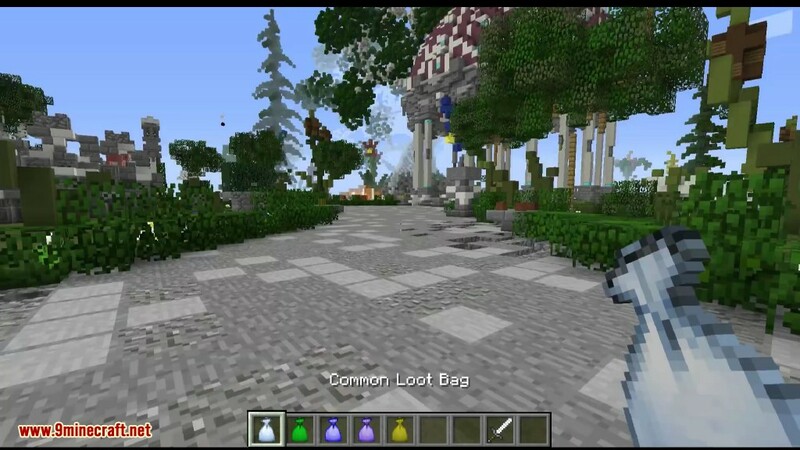 This bag can be found dropped by monsters, passive mobs, and players or in vanilla worldgen chests. 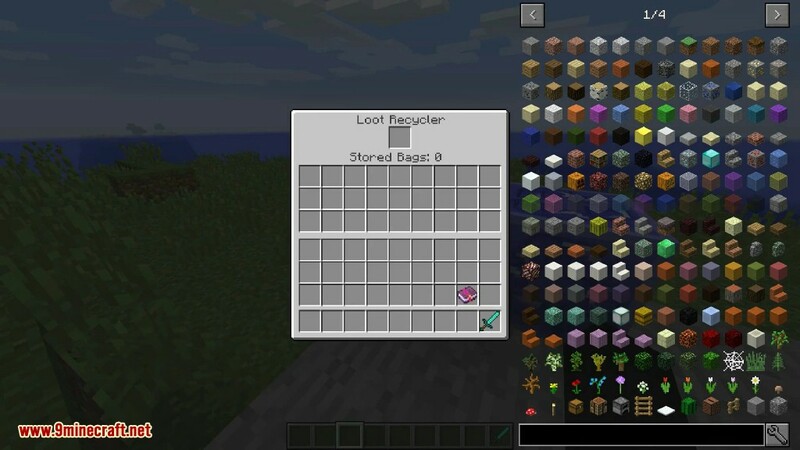 The mod includes a recycler block which will consume items that are dropped by loot bags, and once a certain value (determined by which bag the recycler is configured to create and a scaling factor) it will create a new lootbag that can be pulled out by any typical modded method of removing items from an inventory. 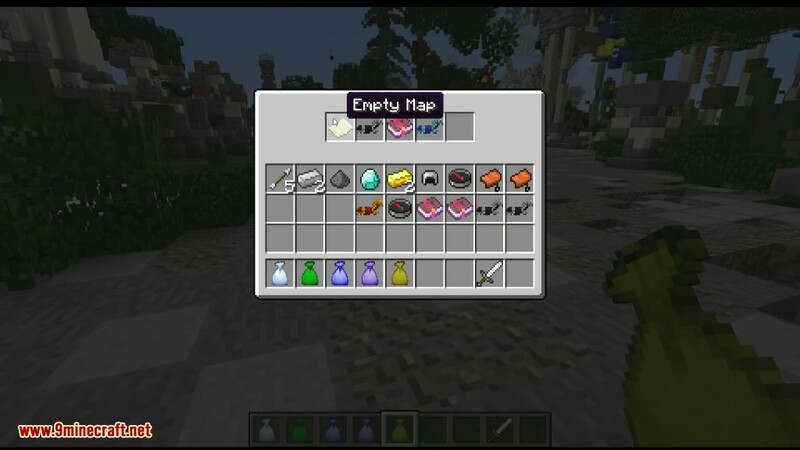 Items can similarly be pumped into the block. 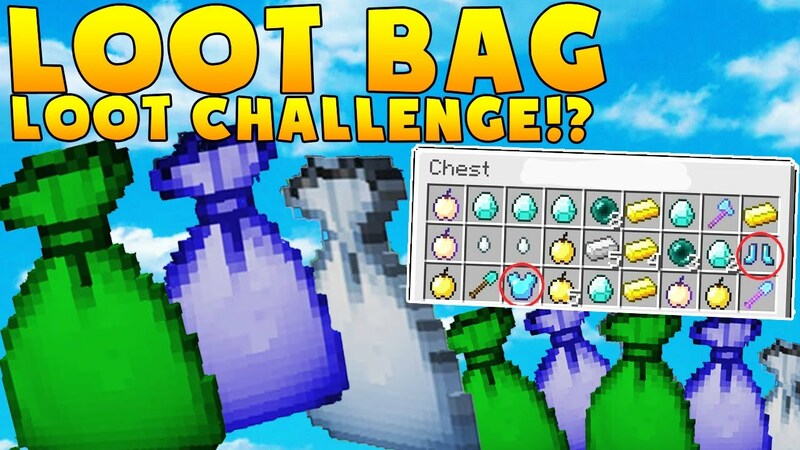 Loot Determination Algorithm: The bag does not know its loot until it is opened by a player. 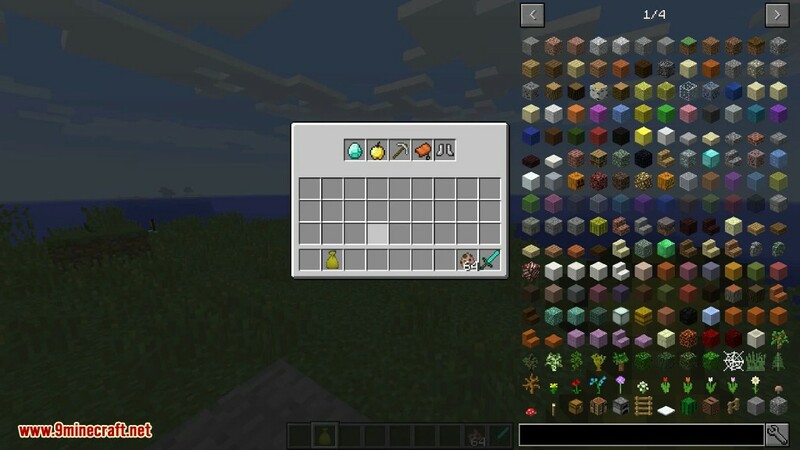 There are a maximum of five inventory slots that can be filled. 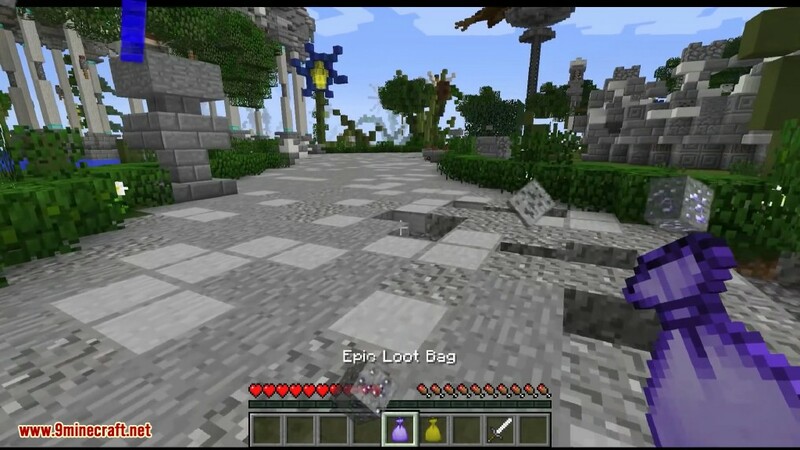 Once opened, the bag will determine 1-5 slots to fill and for each slot choose a random loot list from all lists plus the whitelist if there are any items in the whitelist. From that list a random output itemstack is selected with a random stack size that does not exceed both the max stack size for that item and that entered in the config and placed in the slot. Black/White-list Item Detection: The lists will read a string array and for each element identify the number of words, if it is one/two (blacklist/whitelist) the code assumes the entry is an OreDictionary entry and attempt to add all itemstacks from the OreDictionary that matches that tag to the list. 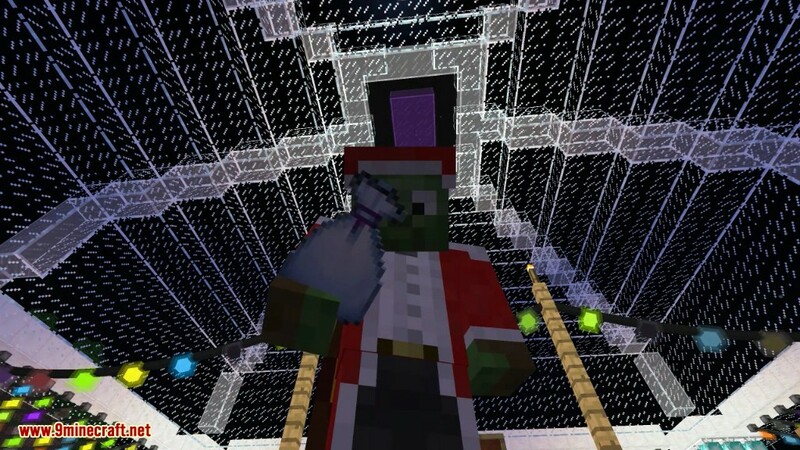 In the case of a whitelist, this only adds the first entry. If the entry word count is three/four the code assumes it is a modID entry and will attempt to find the item or block that is registered under the modID that is the first word with an internal registry name of the second word. 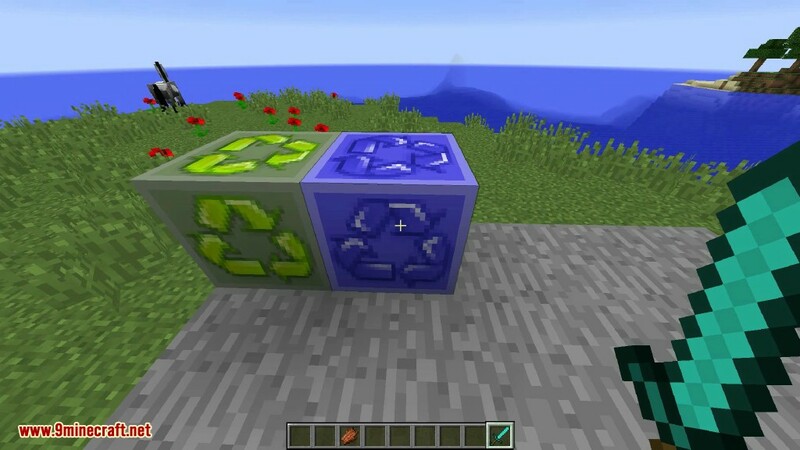 If a block or item is found, an itemstack that uses the third word parsed to an integer is added to the list. Each successful process will add a log message indicating the addition. 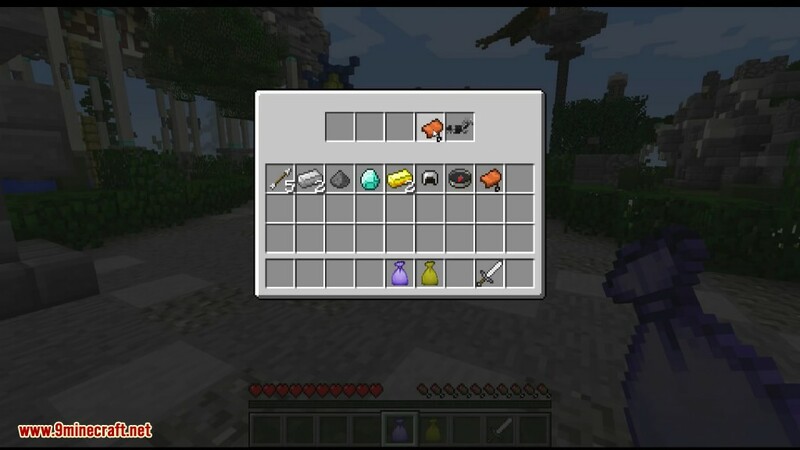 Blacklist Item Removal: During item selection when the bag is opened if the blacklist has any items the mod will compare each item to the blacklist and if there is a match that particular slot is rolled again. 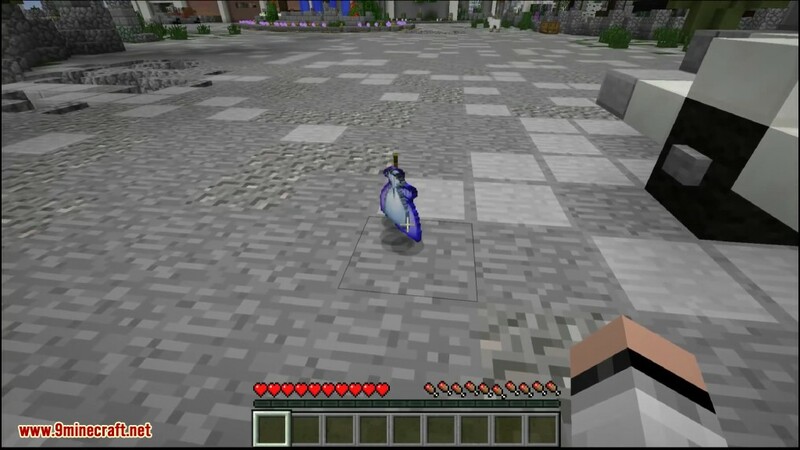 Make sure you have already installed Minecraft Forge and ZarakLib.